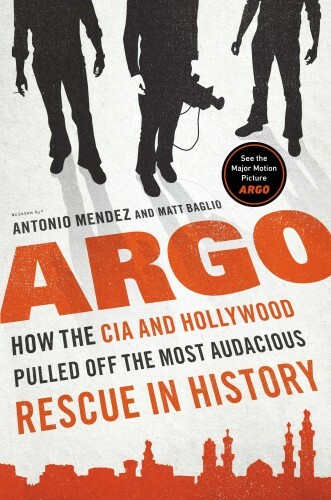 Such is the real-life setting for ARGO: How the CIA and Hollywood Pulled off the Most Audacious Rescue in History, which released in stores earlier this week. 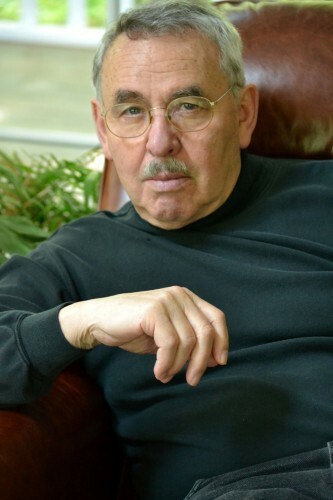 Mendez will be present at a book launch party at the International Spy Museum tomorrow evening. The former agent-turned-author took a few minutes to talk about the experience, the new book, and the upcoming movie Argo (starring and directed by Ben Affleck) releasing October 12. What was the atmosphere like in the CIA when the Embassy was overrun? With the Embassy takeover we realized that the rules of engagement had changed. This time there was nobody to negotiate with. Nobody to compromise with, no chance of a dialogue at all. The government was supporting the embassy takeover. It would require action to solve this crisis. And so the atmosphere was one of highly charged confusion as we set out looking for a new game plan. The book details how we set about defining new rules. How did the idea of Argo come about? The genesis of the idea behind Argo was to do something counter-intuitive, something that went against our normal modus operandi. We were full of doubt and our old models were not working. Because the rules had changed we needed new ideas as well. I was thinking that the cover would require something totally new, perhaps turning the rules of cover on their head. Instead of a low profile cover story, perhaps we could use something over the top. I had worked closely with Hollywood and knew that their innovative thinking often led to unorthodox solutions. And once I began thinking about Hollywood the idea of a location scouting team seemed to be just the ticket. What were two of the biggest challenges in executing the operation? The biggest challenges were bureaucratic ones. There were many senior people involved in several governments and numerous agencies. We called it “The Committee Effect.” Getting consensus and approval were two or our biggest challenges. Would you have liked to see the fake movie actually come about? The answer is yes, and today we do have the movie, although not the one proposed in 1980. Today’s movie may be the better one because it documents a successful rescue of six innocent American diplomats out of Revolutionary Iran. What percentage of the movie is factual? Did you find it difficult to work out the movie’s version of the story versus actual events? There is really no difference in the way we did it and how it is portrayed by Hollywood. Yes, there are Hollywood storytelling elements in the story. But the facts remain intact and the spirit of the rescue and the heartbeat of the events are still there and they are very real. This is a true story that was declassified by Bill Clinton and George Tenet. We are proud to be part of it. Telling the story was the scriptwriter’s job and he spent four days with us at the beginning of this process. He always knew that some parts of the story would remain classified and was always able to come up with a creative work-around while preserving the tale. Was there anything left out? A lot was left out, but that’s the nature of converting a book to a movie. For instance, I had 3 children at the time, but in the movie I had only one, a little boy named Ian. That was part of streamlining the story and I was ok with that, but my other two kids, Toby and Amanda, may be less forgiving! If you could redo the entire operation, what would you have changed? Nothing! I would change nothing. You don’t mess with success. The Argo Operation was the only successful undertaking run by the U.S. government during the Iranian Hostage Crisis. We rescued six innocent Americans without firing a gun, without bloodshed, using only classic espionage tools. It has become a model for others to emulate. We would change nothing. The book launch party at the Spy Museum is sold out, though you can acquire a copy of the book signed and personalized by the author through the museum’s online store for a limited time. The book was co-written by Matt Baglio. Im sure your other two chldren forgave you. What an incredible story what guts. I do admire you. This was an incredible story. You are truly a hero. Thank you for your service!! Just saw the movie “Argo”. It was great and even though we knew how it ends we were still so nervous for the Americans! Wish we could find out if the scenes at the airport were actually factual (like when the plane took off). Just saw the movie. Well done and gripping. Am also curious about how factual the scene at the airport was. Thank you Tony for resisting bureaucratic folly by choosing to save the llives of six people. Thank you Ben Affleck and your side kicks for a great movie. Can’t wait to read the book. To answer the questions, the scene at the airport was not quite so touch and go down to the last second. It was made that way for the sake of a better movie–to have it come down to the last second. But, generally true. Great Story!!! Great Movie!!!! Great Movie Direction, Actors, Scenes and Everything!!!! ARGO will win the Oscar for Best Movie, Best Actor and Best Supporting Actress/Actors. What a ride this movie was. And to think it is a real life story. At a time when politicians and demagogues think that it’s so easy to manage foreign relations, ARGO has shown us it’s the hardest thing in the world, and who our real heros are, when the time comes to clean up the mess. Thank you Mr. Mendez, you will have our gratitud for ever. Embellishment with the plane chase at the end of the film ‘Argo’ for edge-of-your-seat effect is appreciated by this movie viewer. Respect due to Agent Mendez for putting his life on the line and for going out on a limb at the time and pushing through with his exfiltration plan. Great work all around. Great get by Affleck.